These children's beds have a spare pull out bed underneath and are spray finished in metallic. The library is oak veneered with a dark stain and lacquer. 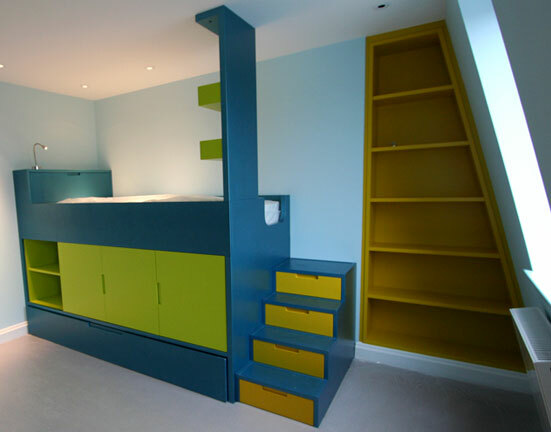 It has a solid oak library ladder and a fold away bed.